By now, you’ve heard of Beast Mode O.G, the strain bred by Nate “Diggitty” Johnson in honor of Marshawn Lynch’s unstoppable presence on the field and his dominating role in the Seattle Seahawks’ 2014 Super Bowl victory. But have you heard that Johnson has created a new version of your favorite Seahawks-themed buds, Beast Mode 2.0, to celebrate the Seahawks’ upcoming trip to Phoenix? Even better yet, Seattle-based I-502 producer/processor Life Gardens has come up with The 12th Gram, a kush-based strain perfect for your Super Bowl festivities. 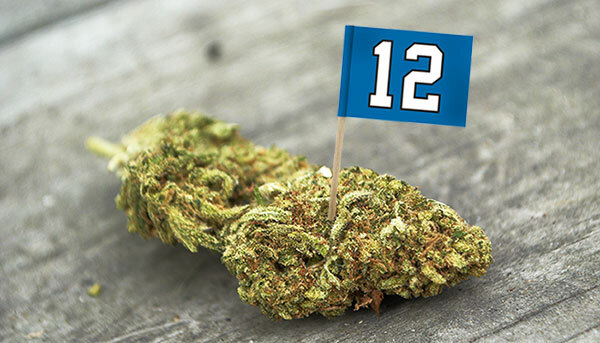 Here at High Above Seattle, we’ve been thinking a lot about cannabis’ involvement in the occasion, and have come up with 3 strains for Hawks Fans that NEED to be created. Break out your blue and green, get ready for the big day, and imagine smoking these sweet Seahawks-inspired varieties to support your favorite Hawks! 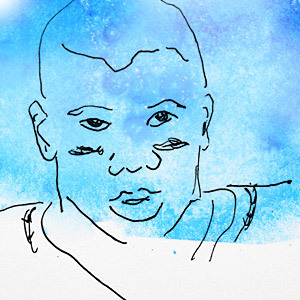 Much like the Seahawks’ fearless leader, you need to keep your head in the game on the big day, and you don’t want to be bogged down by a heavy indica. Hit a bowl of some crystal-encrusted Dangeruss Diesel to stay focused when it really counts. Familiar chemical, diesel flavor and a heady buzz will hit right away and stay with you throughout the game without getting too frenzied or paranoid. You’ll be ready for anything, just like Russell, with these nugs. After smoking this heavy hybrid, you’ll be imagining partaking with Richard Sherman! Number 25 himself couldn’t hit harder. While O.G. Kush’s origins are tough to trace, we think its enigmatic, best-of-both-worlds smoke are a perfect pair for the intense interceptor Sherman is known to be. These buds will have that characteristic O.G. flavor, with a solid heady buzz and a strong body high. 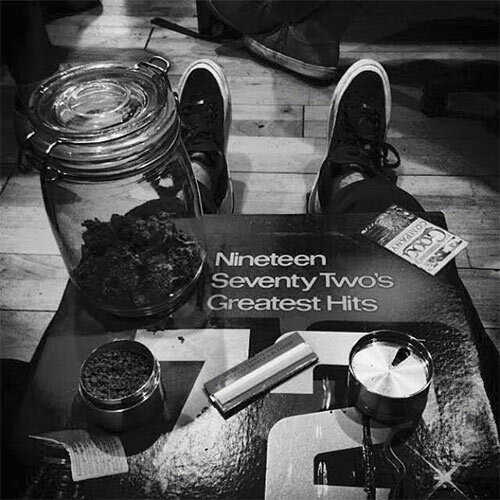 You’ll feel like the best in the game after a bowl of Interceptor O.G – just make sure not to run your mouth afterwards. Tae Rhee of Rain City Cannabis came up with this one in an interview with High Above Seattle earlier this month, and we’re glad he did! We’re hoping someone can come up with a strain that is as heavy hitting as Kam Chancellor. 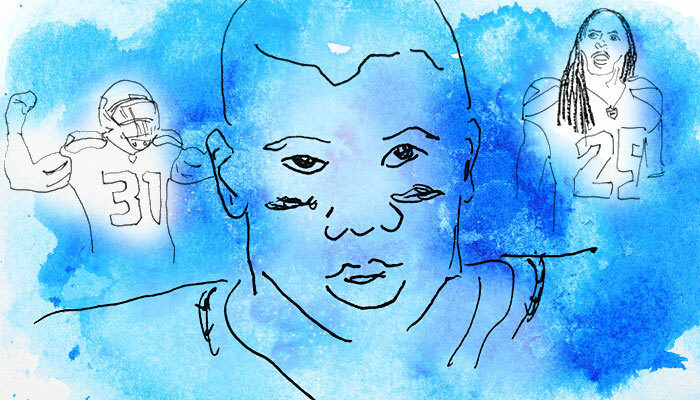 A nice kush hybrid will have a Kam-worthy body hit, but won’t be so overwhelming that you can’t keep your eyes on the big game. You’ll be relaxed and ready for anything, without losing your focus or your attention span. Bam Bam Kush is ideal for keeping you levelheaded while you sit on the very edge of your seat to cheer on Kam’s big hits. Who else on the Seahawks deserves their own strain, and what kind of strain do you think it should be? 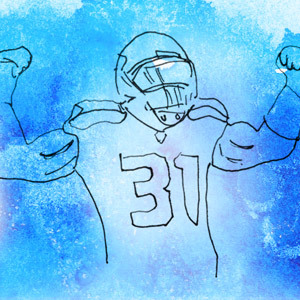 With so many great players it can be hard to narrow it down to who deserves it the most, but what about Earl Thomas III? Brandon Mebane may be out for the season, but who can forget that incredible belly roll dance? 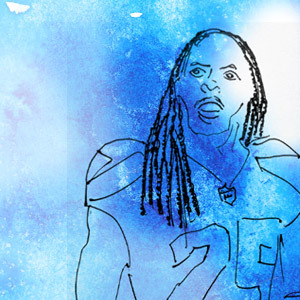 Or maybe just a strain for the entire Legion of Boom? Let us know what you think in the comments, and have a great time watching the Hawks in the Super Bowl! Seattle based Real Don Music is playing a show at Lo-Fi on Friday the 19th to coincide with the release of their “Emeralds and Angels”/”Smoke By Day” 7”. 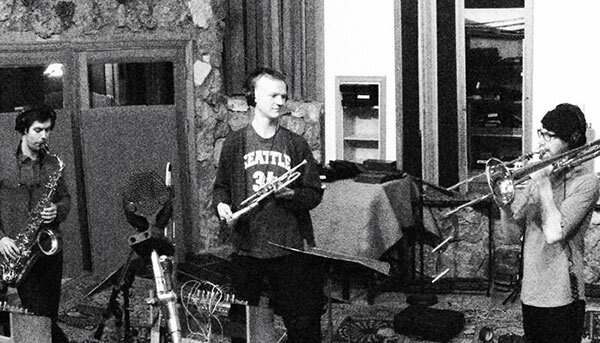 Real Don Music is the brainchild of Kirk Huffman, a veteran member of the Seattle local music scene. I spoke to Kirk about the show, the band and his opinion about recreational marijuana in Washington. Real Don Music got its start in 2013 when their first track, “Emeralds and Angels,” was released late that year. 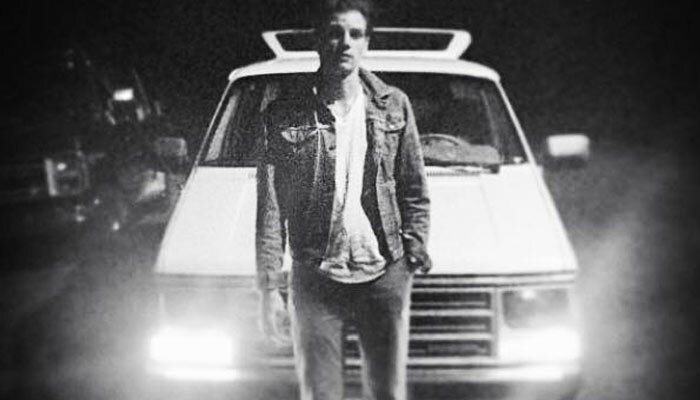 Kirk, lead vocalist and creator of the group, is perhaps best known as the former front man of Kay Kay and His Weather Undergrounds, who opened for RX Bandits and Portugal. Drawing from a variety of influences, Real Don Music uses samples, deep, groove-filled bass lines, sharp synths and a live horn section alongside Huffman’s striking vocals to achieve smooth swing in their lively sound. If you watch the brilliantly animated music video for “Emeralds and Angels,” it’s not hard to hear comparisons to James Mercer and Danger Mouse’s collaboration, Broken Bells. Kirk’s vocals alongside futuristic synths give the song an almost ethereal quality, with the horn section working alongside deep bass lines to give the song a slick slide. A far cry from Broken Bells comparisons is the record’s other side, the excellently titled “Smoke By Day.” Sampled vocals and the horns give the song unmistakable swing and stomp, giving it what one reviewer referred to as a “new age rat pack” vibe. When those horns pull back with an almost haunting quality, even a first listen is rewarded with a sense of intricacy and depth. When I asked what was in the future for Real Don Music, Kirk told me that they just returned from filming a music video for “Smoke By Day” in the Mojave desert, and that they would be releasing the much anticipated 6 song “Dank Sinatra” EP in the early spring, followed by some touring after that. Real Don Music plays at Lo-Fi on Friday, January 23rd with Bardot, Uh Oh Eskimo, and Sunshine Subconscious. ”Emeralds And Angels” is available on iTunes. Check out more photos of the band. Take a deep breath my fellow Seattleites: we have a whole lot of darkness ahead of us in these next couple months. Right now my futon is littered with blankets, a snuggie, an assortment of different sweaters for layering and smiling frog-faced slippers. I know that this will be the spot that I spend most of my post-high evenings for a while. Instead of accepting this cluttered and boring space I think it’s time for a change! What if I just made the whole apartment comfortable and made nooks for reading, cuddling or just watching the clouds on weekends? 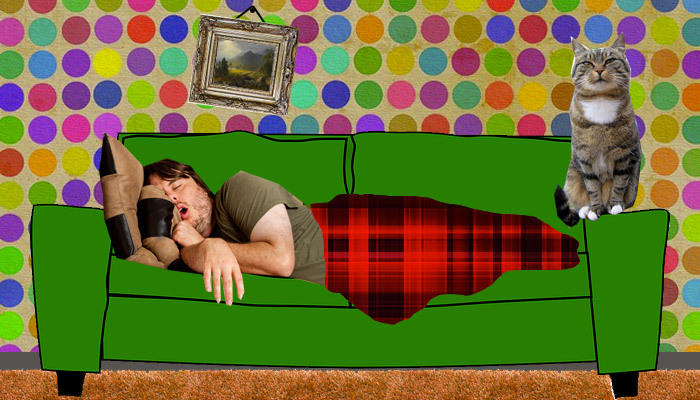 Or what about turning my futon into the ultimate machine of comfort by giving it a few upgrades? To save yourself from cabin fever I have some ideas to take your couchlocked stations to the next level. While beans bags don’t look enticing, after a 10-hour Monday shift nothing sounds better than getting high, ordering takeout and sitting in a large, stress-eating pillow. Bean bags are rollable balls of comfort that easily occupy an unused corner in an apartment. In fact, one of the most coveted spots during the PAX convention is the field of beans bags in the handheld lounge. Gamers trade Pokemon there for hours or take a quick nap before going back to the show floor. Gamers definitely know how to be comfortable for those hours worth of video gaming and stoners could definitely take a few notes. Who doesn’t have a back problem nowadays? From poor posture sitting at a computer to hunching over counter spaces in our own apartments, there is always something irritating our spine. Having heating pads, an electric blanket or even a pulsating massage chair would definitely help loosen up those muscles and keep me in a good mood all winter long, a full size mattress might too if you don’t have those. You can keep the Throne of Swords- I would feel like a king if I were home taking bong rips in between getting a back massage. I am not quite sure on the safety of building my own indoor hammock but I do enjoy a challenge. If you own your place or aren’t worried about mounting a piece of furniture from the ceiling, doorknobs or other sturdy surface hammocks are fun option. I could pretend to be a pirate sleeping below the ship deck or imagine I’m somewhere on the beach especially if add an electric blanket and a cocktail to the mix. Thankfully pinterest has hundreds of options to secure and stylize your own hammock; however, you’re on your own for getting out of it safely! These pillows are the best kept secret. It’s a padded inner tube to help you sit more comfortably on the floor that also serve as decor. Since these pillows are usually presents for cute dogs there are tons of silly designs out there. You can have a baker’s dozen of donut printed rings or find ones on Etsy with a more personalized touch, like the One Ring from Lord of the Rings. Stretching out on the floor is a bit easier with these pillows and having multiple ones around the house are great for guests too. This is the ultimate mood-booster that anyone could make out of old sheets and push pins. I remember that as a kid I would prop up couch cushions and string bed sheets over them to create my own personal tent every couple weeks. Having a 600 square foot apartment means even more space to build and I would gladly cover up all of those white walls. I could turn those Amazon boxes into castle walls or set up a theater inside the fort by securing the sheets over the TV. Just because I’m an adult doesn’t mean I shouldn’t have toys or the freedom to turn my space into imaginationland. Now if only I could convince my roommate to leave it up all the time. If you don’t have a spare cash to spend on comfortable furniture or a lot of time to use for redecorating, that is okay. It doesn’t take much to make a space more comfortable, cheery and personal. Hanging a black velvet painting from Value Village, putting glow-in-the-dark stickers on the ceiling or draping some colored pieces of fabrics over the windows are just a few ways to make your lounge space more inviting for yourself this winter. Let us know how you customize your ‘couch’ space in the comments! I saw the ‘Grandma Smoking Weed For the First Time’ video on YouTube Wednesday evening around 6 o’clock after The Cannabist alerted me on my Twitter feed. At that time, the video was fairly knew with just over 200,000 views and readying for launch into the viral-spere. And that it did. Less than 24 hours later, the video is closing in on almost 10 million views and counting (UPDATE: over 12 million and counting). The video is being reported by seemingly everyone, popping up on social media seemingly everywhere, and being talked about by seemingly everyone. But what strikes me is the positive response the video is receiving. Not only in regards to the number of ‘thumbs ups’ under the YouTube video, but the overall buzz. Whether it’s mentioned on social media, in an article, or someone talking about it at the bus stop. Could three innocent grandmothers who smoke weed for the very first time – and have a great time doing it – actually do more to expedite federal legalization than you’d think? After all, this video is continuing its’ orbit into viral-space. Who knows how many people this ends up reaching and touching. 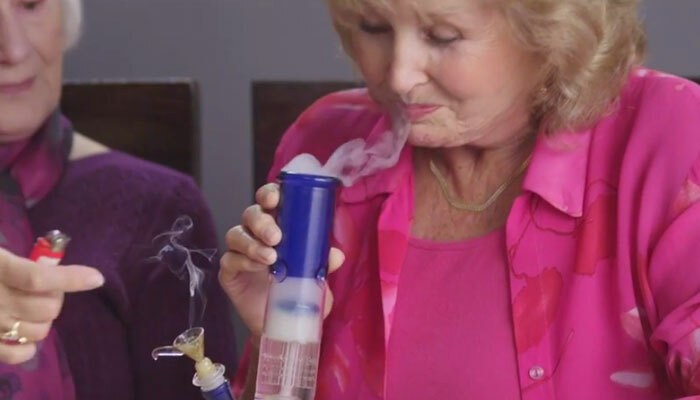 It’s not like the grandmothers are reeking havoc while coming down with reefer madness. Instead, they are relaxing, living life, having a little bit of fun, and enjoying themselves. You may be surprised, of how much of an influence, a video like this can have on public opinion as well as our culture and society. The holidays are fast approaching which means the time that you have to buy gifts is quickly disappearing. To make everything easier for you, we at HAS have created a holiday gift buying guide to help you pick out presents for the cannabis connoisseurs in your life, including yourself! 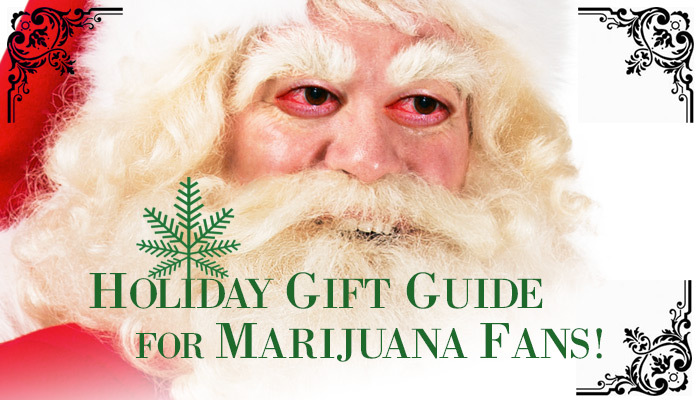 The 2014 Holiday Gift Guide For Marijuana Fans will continually be updated with new items, especially from local shops, so bookmark and check back often. This Washington State recreational processor has released artisanal, small batch syrup sampler packs, just in time for the Holiday season! These handcrafted cannabis-infused syrups use a complex mixology of local fruitful and savory ingredients, and are great for topping ice cream or using in sodas. You can find these holiday sampler packs at Uncle Ike’s Pot Shop. 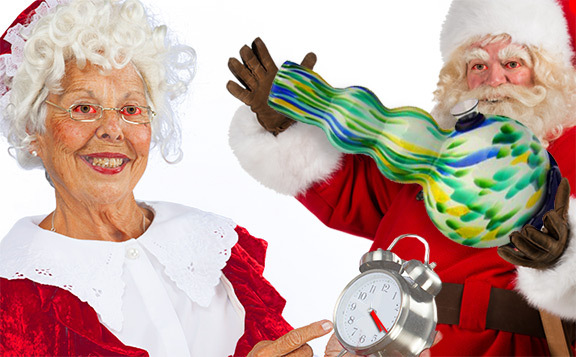 You KNOW that pot icons Cheech and Chong would somehow find themselves in this holiday guide. But you probably didn’t know it would be in the form of garden gnomes. 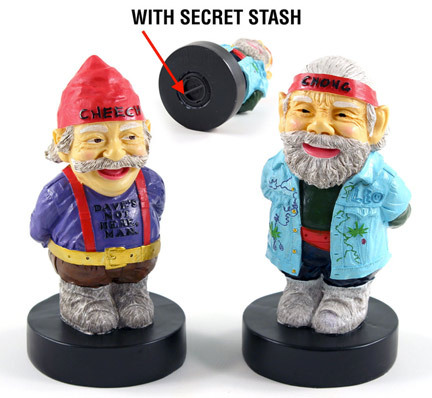 That’s right, you can give your favorite marijuana connoisseur Cheech & Chong garden gnomes! How cool – or creepy – is that? Click here for Cheech, click here for Chong. 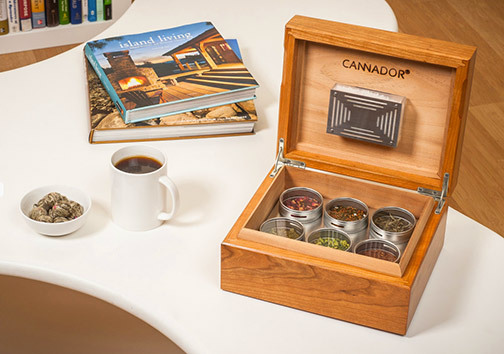 ‘Think’ humidor for cigars, but for cannabis instead! This beautiful solid walnut and cherry wood cannador is designed to preserve the longevity of your dried cannabis. Includes a Humidity Bead System which keeps your bud fresh so it doesn’t dry. This is one of those gifts you give when you are looking to impress! This gift can be found here and delivered to your door in just days. Need a stocking stuffer…for yourself? Look no further. 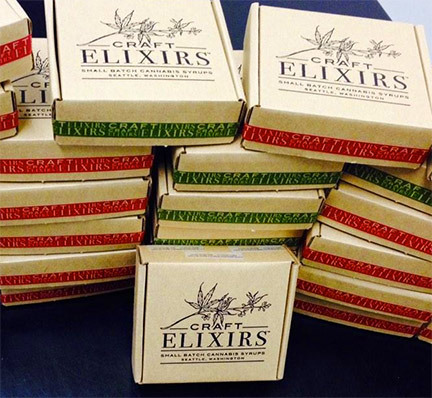 Monkey Grass Farms has released the ultimate stocking stuffer, sure to make any connoisseur of cannabis delighted. 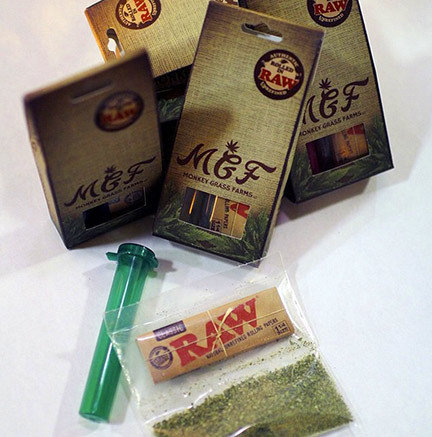 ‘Roll Your Own’ packs consist of grinded buds, a pack of Raw rolling papers, and a plastic carrying case for the cone that you roll. This is all anyone really needs as a gift for the holidays. Available the week of November 10 at Cannabis City, Uncle Ike’s, and Green Theory. Keep your eyes peeled for Holiday inspired ‘Roll Your Own’ packs coming soon! The Magic Flight Launch Box hit the market in 2010 and remains one of the most popular vaporizers today. 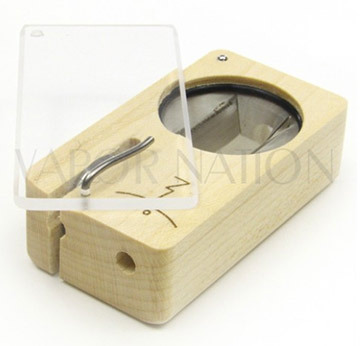 This little vaporizer, made with a wooden casing, heats your herb with a built-in heating element and allows you to pull fine and precise hits. The Magic Flight launch box is perfect for someone looking for their first vaporizer, or to add to a collection. You can find the Magic Flight launch box here. 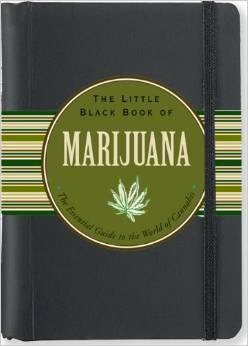 This essential little guide to the world of cannabis is a perfect stocking stuffer for the marijuana connoisseur. Includes pot culture and history, cooking with cannabis, identifying marijuana, and understanding issues such as legal and health. Author Steve Elliot is a local cannabis expert and journalist. The book can be found here. 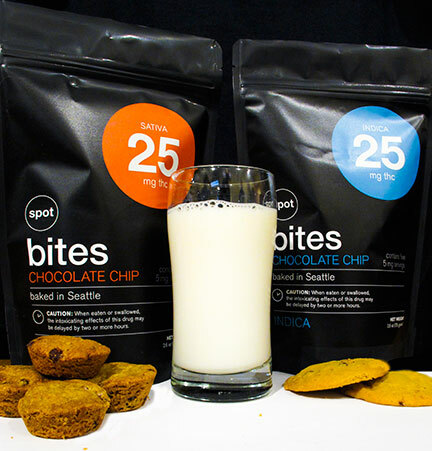 We have heard a lot about these chocolate chip cookies which are infused with your choice of sativa or indica. If you plan on leaving any of these for Santa, you will want to leave a little note that mentions that these cookies contain THC. Oh, and make sure you’re the last house he visits and is going to stay for a while. Wouldn’t want him flying around high.